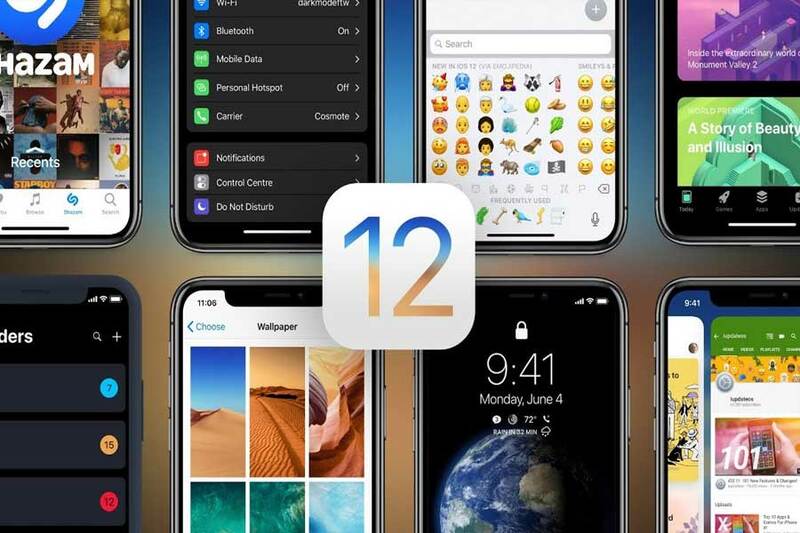 Apple has launched the new version of iOS 12 and it has lots of new features and improvement to offer to its users. All through the version available to check is the features is the developer beta and as we all know that final version of iOS 12 can help you do more things. Because this is a beta release, features and functionality are subject to change between now and the final version of iOS 12, coming this fall. In this article, we bring you the 4 features of iOS 12 from the developer beta version to make you existed for the release. Your lock screen is about to get a lot cleaner. Rather than showing every single notification in one long stream, iOS 12 groups them together by type. Android also does something similar. If you have multiple text messages, for example, they'll all appear together in one stack. You can swipe across to open or dismiss them like in iOS 11. But there's a new option called Manage that lets you take control over your notifications. When you tap Manage, it brings up a dialog where you can choose to deliver these notifications quietly or turn them off altogether. If you select the quiet option, the notification type will bypass the lock screen altogether and won't show a banner when a new notification comes in. Instead, you'll just see them appear in the notification center and a badge will show up on the app icon. This is what Screen Time looks like in the iOS 12 developer beta. Apple wants to help manage your screen time with a new feature aptly named Screen Time. In Settings, you can see a breakdown of how much time you've spent on your phone. It also shows your most-used apps. If you tap into the breakdown, it shows you how long you spend in individual apps. Then you can tap the hourglass icon to limit time spent in each. Alternatively, the App Limits section lets you manage how long you spend in certain categories of apps like social networking or entertainment. Downtime locks down the phone so, for kids, notifications for apps won't be shown and parents can choose apps that can or can't be used. If you're a compulsive phone-checker during the night, Do Not Disturb has a new bedtime mode that stops notifications from appearing on the lock screen during set hours. Instead of a lock screen filled with notifications, it shows a dim display with just the time and date. In iOS 12, Siri will let you create your own shortcuts to make custom commands. So if you wanted to say something like "Hey Siri, let's go on a bike ride," Siri could bring up the weather, directions on a map, and set a reminder to bring your helmet. This will all happen from a new Shortcuts app (not yet available on the beta). A simple preview of creating custom phrases exists in the Siri & Search section within Settings. You can choose a suggested action from the list, then set a phrase to trigger that action. During the WWDC keynote, Apple previewed a way to have up to 32 people on a group FaceTime call -- complete with Memojis. While this feature isn't available yet to try in the developer preview, the interface to add multiple people to a call is there. iOS 12 also has added a new Measuring app that uses the camera to measure real-world objects. Just tap to add points on the object and see the measurement on screen. It works on 2D objects like a piece of paper and 3D objects like a box. Some existing apps are also getting a visual overhaul, including Stocks, Voice Memos and Books. This is a quick look at some of the new features in the iOS 12 developer beta, but there are many more things to explore that were covered in the WWDC keynote, including AR games and smart suggestions in the Photo app. Stay tuned for more coverage on iOS 12.